Posted on March 8, 2018 at 3:27 pm. Posted on October 14, 2013 at 10:56 pm. 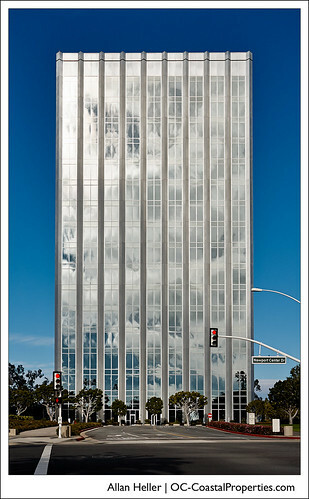 The other day there were some nice cloud formations floating around so I thought it would be fun to capture them reflected in the high rise office buildings of Newport Center. Above is that capture. What are your thoughts?